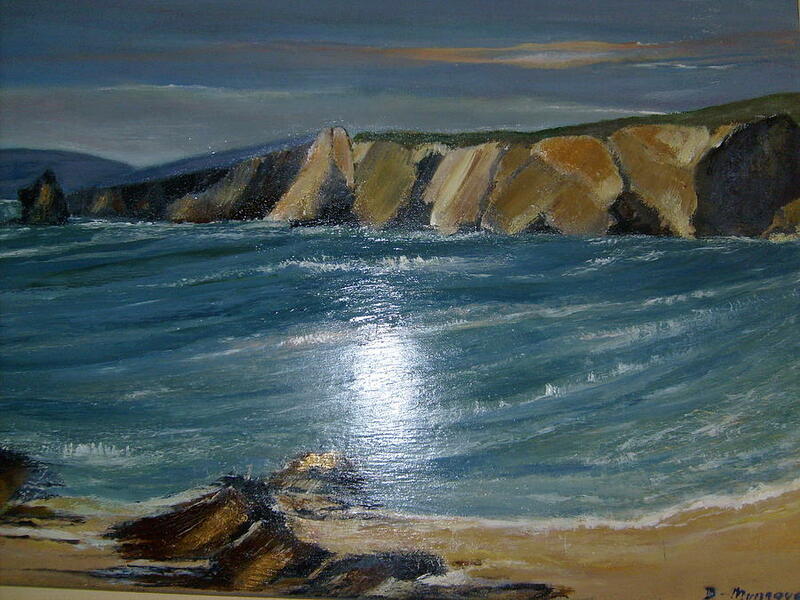 Patchwork Cliffs Eire is a painting by Deirdre McNamara which was uploaded on January 12th, 2010. The wild and rough, Achil Island .Eire,where the Atlantic rushes in to the cliffs., which look like a puzzle. A LOVELY COMPOSITION!! AMAZING DETAIL AND GREAT USAGE OF COLORS!! A WONDERFUL PIECE OF ARTWORK!! nice work of art i like the contrast!